WTFF?! Check out these LINKS!! Even if I say NO, don't stop… reading my blog, that is. Ok. First of all, the synopsis is quite wrong. Jay isn’t in love with J. Max. She actually said that she was only attracted to his face. Ouch. Now, for the review, the story is somewhat original and typical. Typical because, perfect guy fell in love with not-so-perfect girl. Original because not-so-perfect girl is not in love with perfect guy. Honestly, this twist caught me off guard. I don’t really know why this manhwa is on my list, but I definitely didn’t know about this part. So, anyway, this really kept me going. But aside from that, the pacing is kinda quick and lacking. It’s like: “Whoa! How did that happen?” It’s like things just became that way without the manhwa artist building up a situation to be the cause of it. The characters are all good looking. J. Max actually looks like Nao in Can’t Lose You, which I find a plus for this manhwa since I love Nao. Anyway, aside from al being good looking, they are also all annoying characters without a specific character/ attitude. Try going as far as Chapter 10, the only things you’ll learn about them are Jay is a very irritating girl who is also a sadist to the masochistic and typical perfect guy J. Max. And J. Max’s assistant, body guard and another weird kid are all characters with free lancing characters. WHat I mean is, you can’t describe how they are. TO explain it more, they all just change. The assistant is a hopeless romantic but he refuses to help his master who is in love and has romantic way of showing. Contradicting… So, what I mean is, with a lot of chapters, there are really a slow character development. 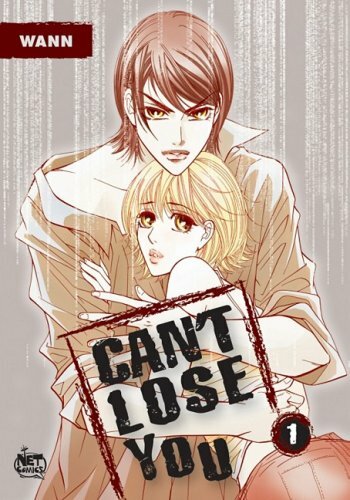 In a whirlwind narrative of vanity and conceit, Can’t Lose You is the story of two characters who come from opposite worlds but are united by the most unlikely of circumstances: Yooi is a desperate girl working day and night to earn pennies in hopes of one day paying off her father’s debts and reuniting their family. Lida comes from privilege and excess, the heiress to an unbelievable fortune and a marriage match she cannot wait to consummate. But when the two girls meet and discover the one thing they have in common is their identical faces their lives take an unexpected turn. 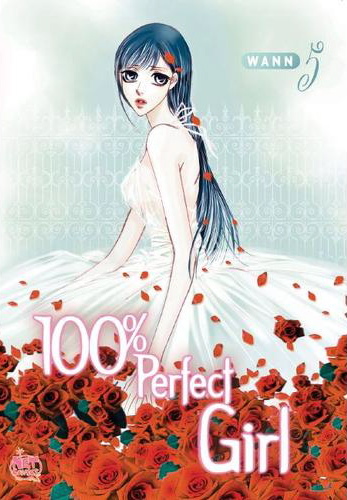 As Yooi accepts the irresistible offer of becoming Lida’s double, she finds herself in over her head, being chased by assassins and falling head over heels for Lida’s fiancé. Meanwhile, Lida is completely unaware of the shocking revelation awaiting her in this fast-paced tale of redemption and revenge. I just finished reading another review about this manga coz I was thinking that since I’m inexperienced with this reviews and stuff, I don’t want to give injustice to this manga. Well, I found out that some people spoils many parts of the story when writing reviews. I hope I’m not doing the same thing. I love spoilers but sometimes it can destroy the thrill and excitement of reading a good manga. Okay, I’m actually drifting away from the review. Sorry. Okay. Start! The story is set on modern day Korea, with the companies and everything. The story, even though it is often compared to Cinderella differs in many aspects. Like the two protagonists. One lives in the rich world and the other on the poor people’s world. I’m sure it sounds average, with the Cinderella thing and the twins thing. But let’s forget those and focus on its originality. Can’t Lose You is about the people living in different kinds of worlds and meeting somewhere along the line. Lies were uncovered. Love unfolded. Truth surfaced. Both sides of the world were shown, good and bad. Sure it sounds like some simple Slice of Life manga but no. It’s not. I recommend this to everyone. I don’t particularly like Shoujo and SLice of Life myself. But this is an amazing manga. I think I’ve reread it over 5 times. And it’s still counting. CHARACTERS: Well, the character development is the first thing i always write here. So I’ll start with it. Though the story is good, the development is, again, lacking. For the main, it’s just right. But for others, they just disappeared. I don’t mean that they should also cover the lives of the supporting, but they just disappear! For instance, Yooi’s dad. After trying to help her, he just disappeared! And Nao’s mom. Also, when I said that only the main characters got the spotlight, I mean it. The grandfather’s story was not explored. even just a little. SO I didn’t really understand him. Now, again, don’t get me wrong. I’m not saying they should do this. It’s just that it would be better if they do. I hope somebody out there understands me. The main characters’ stories are told in a good way. Though the pacing is kinda fast even though it’s a manga, you can still understand them. You can relate and even fall in love with the characters of this manga. Or at least , I did. 9/10. Great Story. Good Characters. Superb ARt. Doesn’t it deserve a 9? Well, I hope I was able to convince you to read it. i didn’t spoil anything, I hope you’re okay with that. I’m also vague sometimes so forgive me. Anyway, just leave a comment if you want to talk about it. Also, if you live in NZ, try the libraries in your town, I’m pretty sure there’s Can’t Lose You there. Especially if you’re from Hamilton. If you’re not from NZ, well, try buying it from somewhere. It used to be on Manga Fox even though ti’s licensed. What you do is, you put mangafox.com can’t lose you in google then click on the Manga Fox: Can’t Lose You Vol…Chap.. or something like that then you’ll get it. SADLY, they decided to really delete it. Tsk. Tsk. That’s where i’ve read volume 5 and 6. Sorry. You’re too late! Oh yeah, I almost forgot, the information above is from MyAnimeList. Last… I forgot to say. The synopsis is from NetComics.